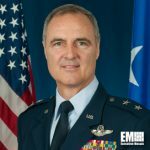 U.S. Air Force Maj. Gen. Robert Williams, head of the Office of Military Cooperation, has been nominated to become the commander of the Continental U.S. North American Aerospace Defense Command Region. His nomination includes the role of commander for the First Air Force (Air Forces Northern) at Tyndall Air Force Base in Florida, the Defense Department announced Wednesday. President Barack Obama also seeks to elevate Williams to the rank of lieutenant general if the nomination is approved. Williams also currently serves as a U.S. senior defense official and defense attache for the U.S. Central Command at the U.S. embassy in Kuwait. He began his military career as an instructor and evaluator pilot of the T-38 Talon jet trainer built by Northrop Grumman before he served as an F-16 fighter pilot, instructor pilot and evaluator pilot. He also commanded the 169th Fighter Wing, 169th Operations Group at McEntire Joint National Guard Base in South Carolina, Air National Guard Readiness Center and the Joint Base Andrews in Maryland. The Continental U.S. NORAD Region is a component of the North American Aerospace Defense Command that provides airspace surveillance and control for the continental U.S.